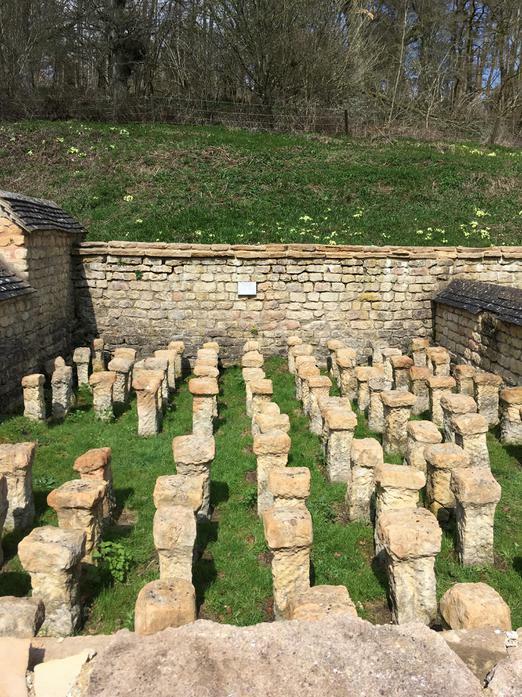 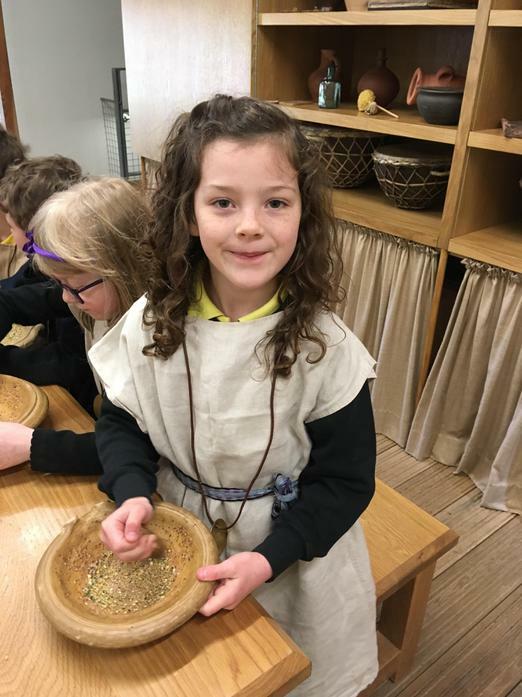 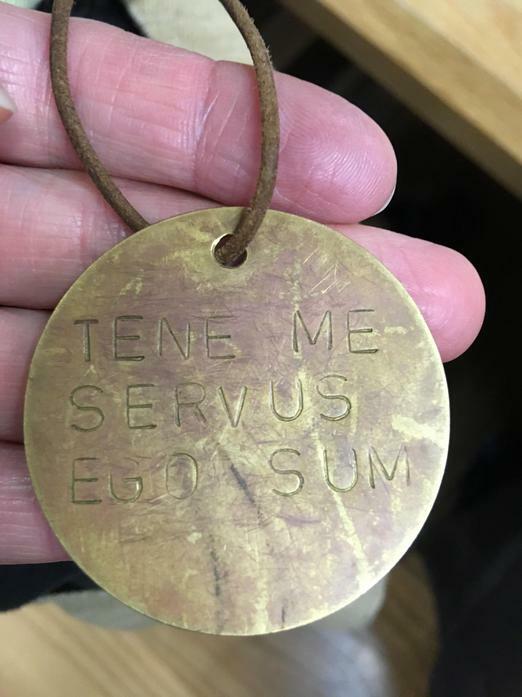 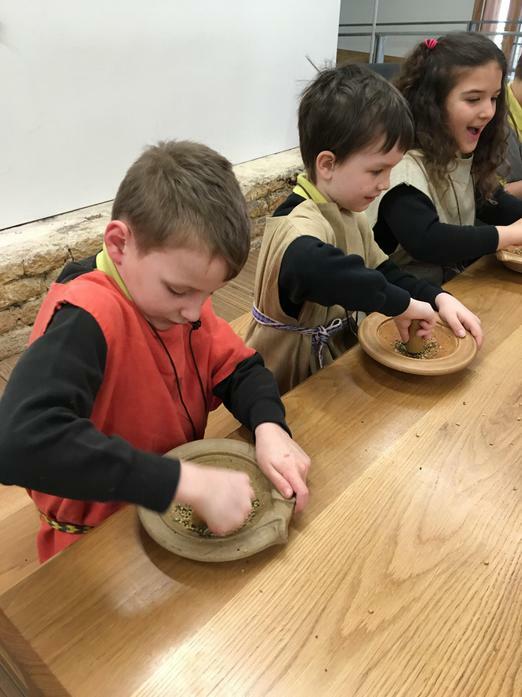 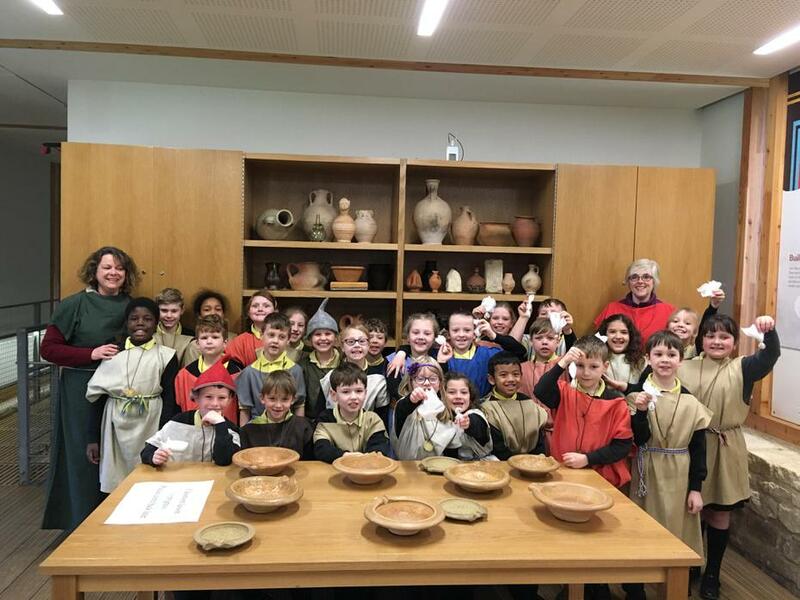 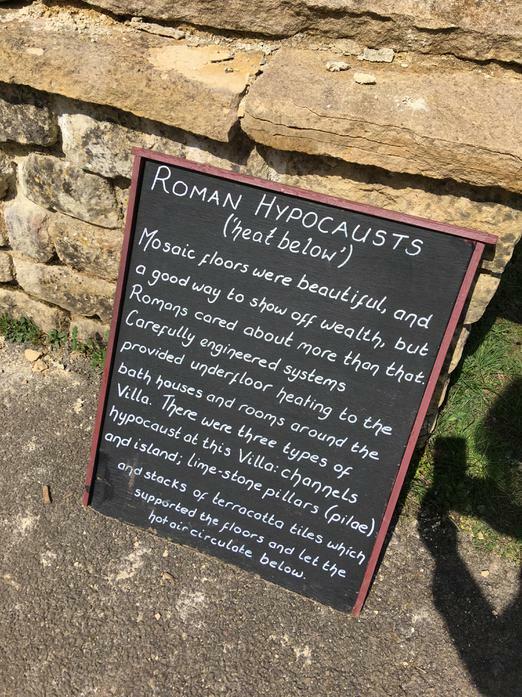 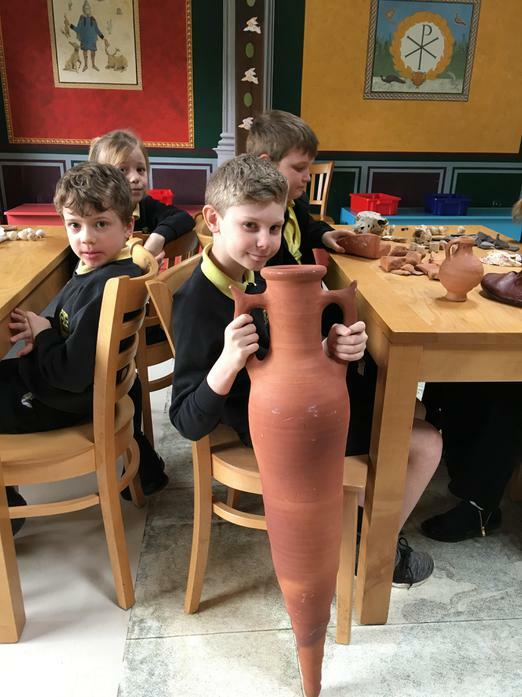 In the last fortnight, Years 3 and 4 got to travel back in time to the Roman era with a trip to visit Chedworth Roman villa. 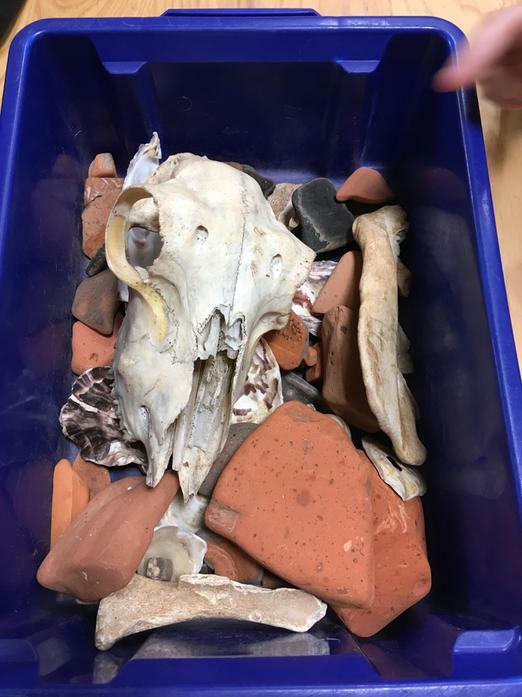 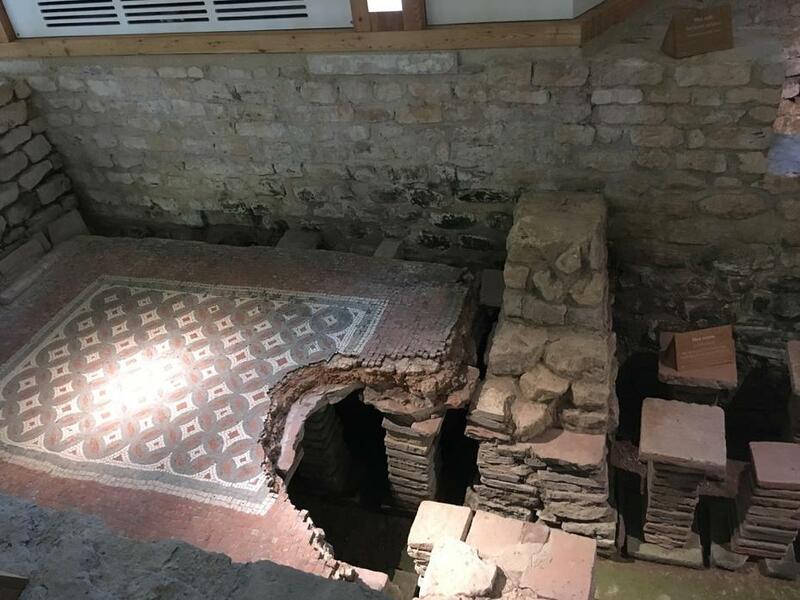 It is one of the largest examples of a Roman villa to be found in Britain so we were all very excited about seeing what is was like and uncovering how Roman people use to live. 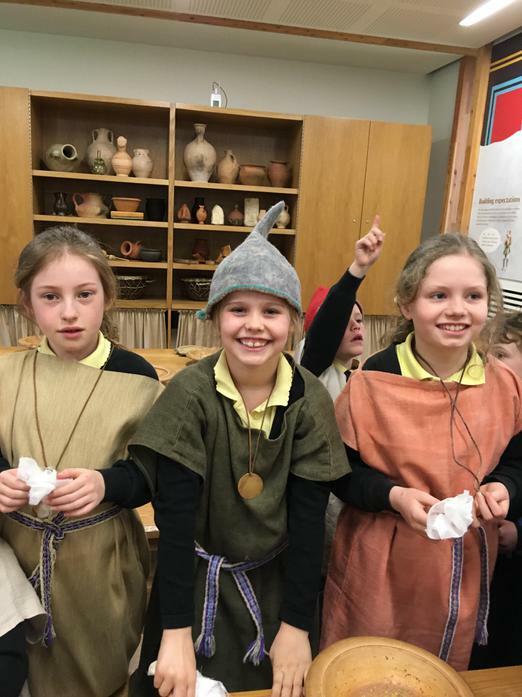 All of our classes were praised by the chedworth staff for excellent behaviour and enthusiasm towards the activities put on. 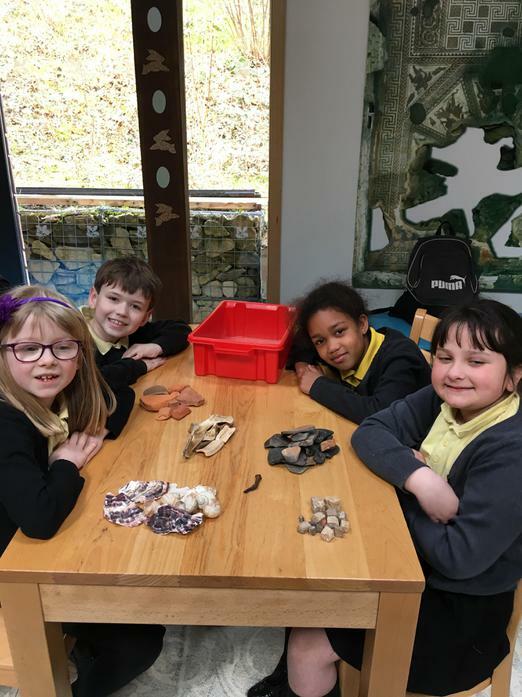 Please read a trip review from our class. 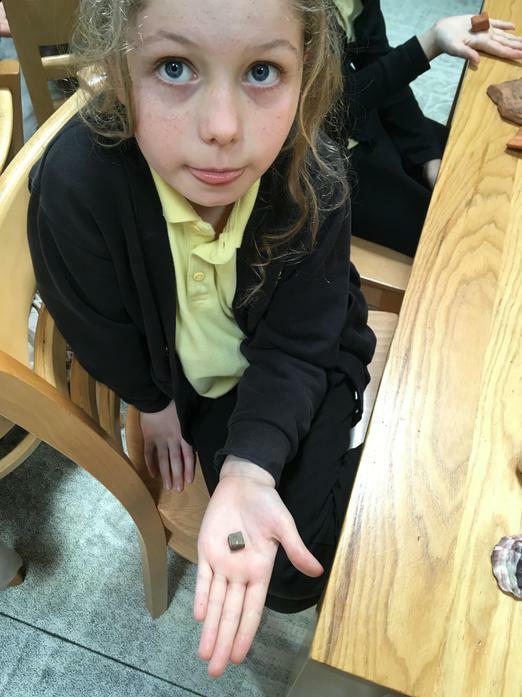 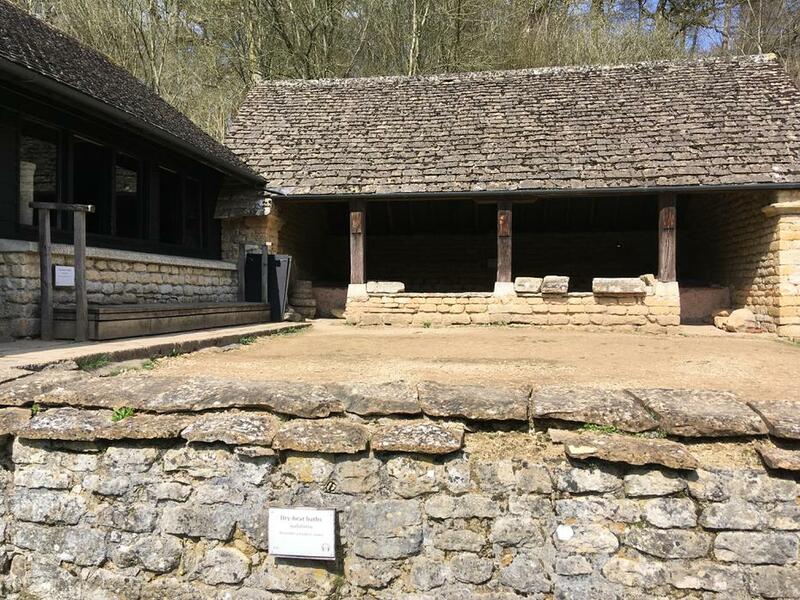 Chestnut Class- Lara, Harriet and Sophie H-O- On Monday 16th April, Chestnut class went to Chedworth Roman Villa. 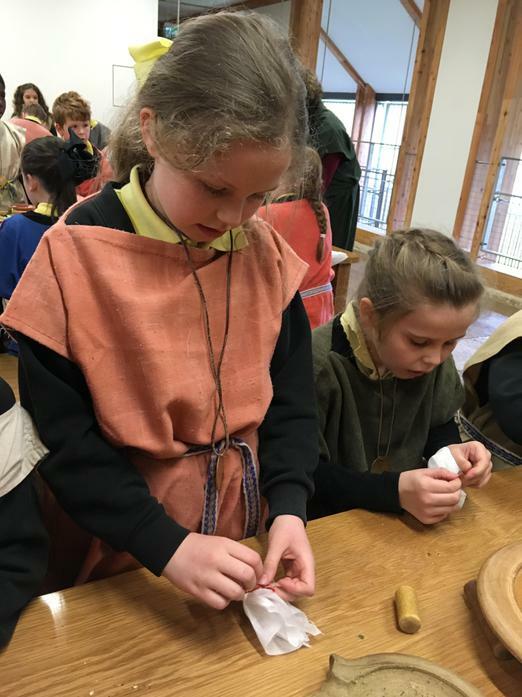 It was really fun dressing up as slaves, we wore itchy clothes. 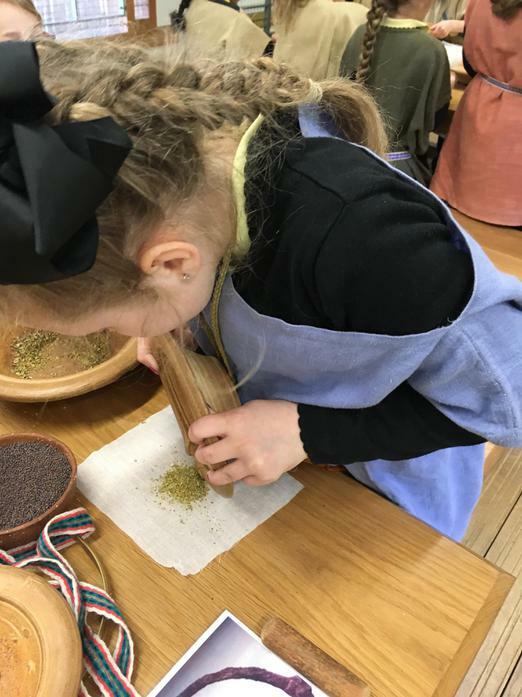 Our tour guide, Jane, showed us how to make spicy, smelly and soothing medicine bags. 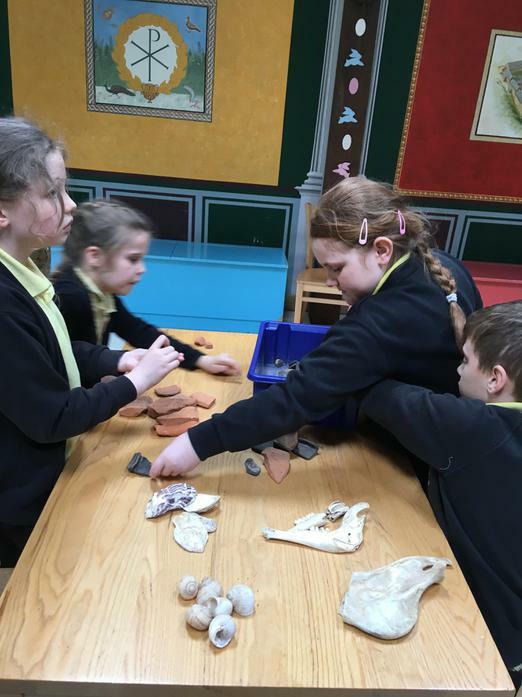 After that we went into different classroom to learn about the old fragile artefacts, we split into groups to sort out the different types of artefacts. 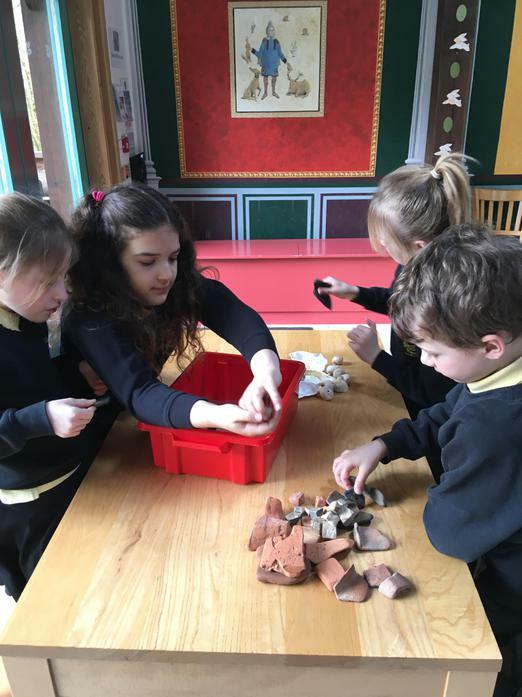 Then we went to see the different ways of how they washed themselves. 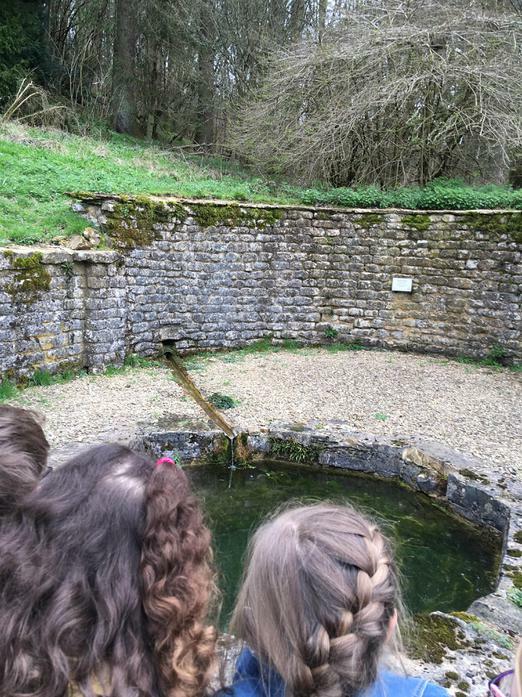 Then we went to the gleaming, glistening and trickling water shrine. 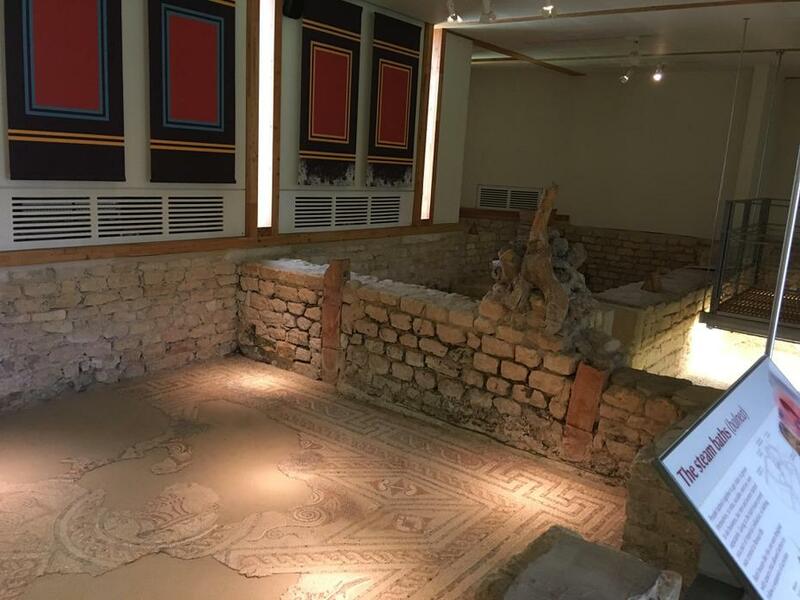 Next, we went to the lounge and dining room, there was an old dusty and broken mosaic in the lounge, however n the dining room it was much bigger. 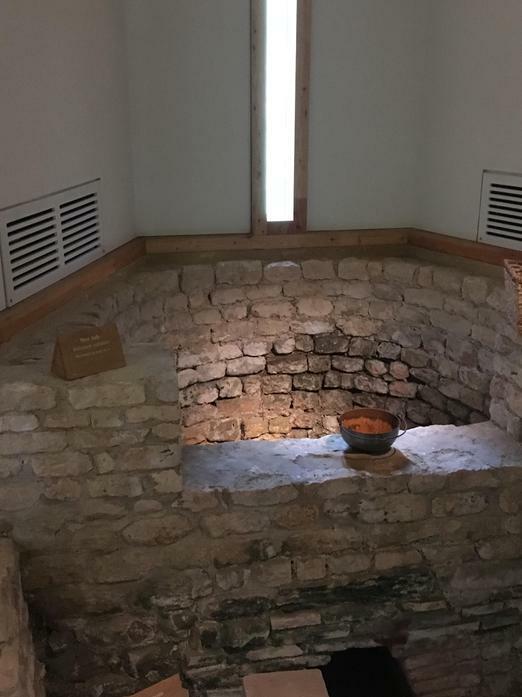 Finally, we went to the kitchen we saw the old, dusty oven hey used. 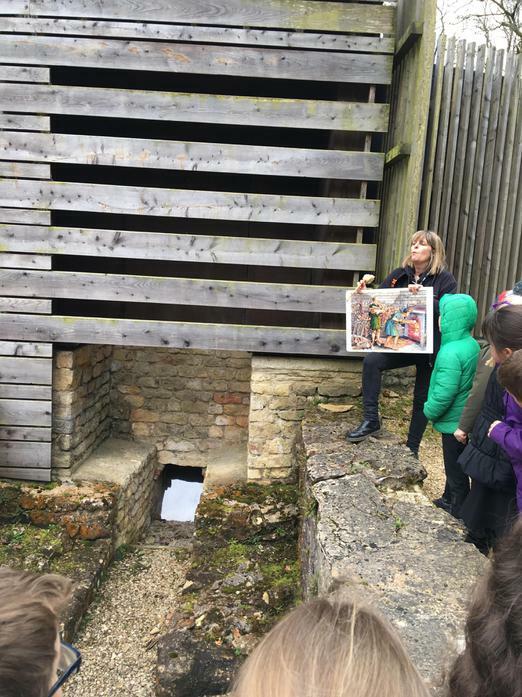 This trip was very educational and fun.